Location—as you know—is critical to the success of your store (hence the common line “location, location, location”). That’s why you need to take your time and do your due diligence when figuring out where to set up shop. 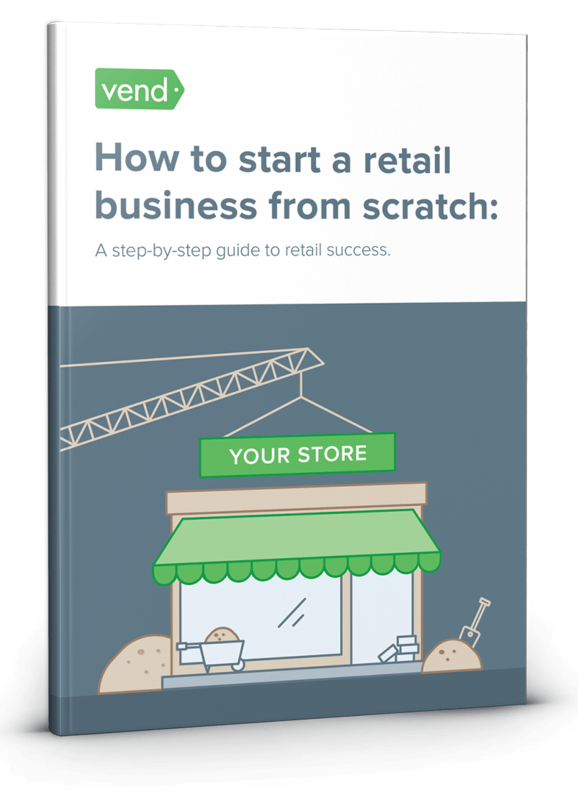 Start by making a list of ideal locations for your store. Based on the research you did above, you should already know which areas are most populated by your target customers, so you may want to set your sights on places where they live, work, and hangout. Get in touch with the owners or leasing agents of potential spaces, then ask them about the rent and size of the property. Have them send you photos and a copy of the floorplan. If everything looks good, set up appointments to view the spaces you like. The first thing you should do is gauge the “findability” of the location. If you had a hard time finding it, some of your customers may have trouble doing so as well. Get the location’s crime rate numbers. Needless to say, the lower the better. A place with a low crime rate will attract more customers and potential employees. How’s the traffic in the area? Take note of the number of people and cars in the vicinity. More people and motorists could give your store higher exposure, but they may not necessarily translate into more sales. That’s why you should also look at traffic quality to ensure that the people and motorists in the area are the type of customers you want to have. This depends on your needs, but a good guideline is to have at least 5 spaces per 1,000 sq ft.
How are shopping conditions at night? You should also visit the location at night (or other times of the day) so you can evaluate the site during different periods of the day or week. What are the other businesses in the area? Ideally, you’d want the establishments in the area to complement your store and cater to the same market. Do you have competitors in the vicinity? As mentioned above, having competitors in the area doesn’t have to be a negative thing as long as you’re able to compete successfully. Does the building meet your store requirements? You have to make sure that the space can accommodate the merchandise and equipment you plan to bring in. Is there enough space for everything? Can vendors conveniently make deliveries? If the location currently doesn’t meet your needs, ask if you can make modifications to it. If the building is new (i.e. if it was built within the last 20 years) you probably won’t encounter any major issues for several years. If it’s an older building though, be sure to ask about the last time any upgrades or major renovations were done to the place. If a building is say, 40 years old and they’ve never done anything to the roof yet, chances are, it’ll be due for an upgrade pretty soon. Do the current utilities, lighting, and HVAC system meet your needs? Will you have to do any re-wiring or plumbing work? Is it accessible to people with disabilities? The more accessible a building is, the better. Plus, most places now have laws that require certain levels of accessibility. See to it that the building complies with all these requirements to avoid run-ins with the government (or worse; lawsuits) in the future. What types of signage are available? Ask the landlord about their signage guidelines. How big should your signs be? Are lighted signs permitted? Get the answers to these questions and make sure they can accommodate the type of sign you want to set up. Tech-wise, does it suit your needs? If you need wireless and high-speed internet, for instance, you’ll want to make sure the space meets your connectivity requirements. What type of lease agreement will you have? The five most common ones are gross, single net, double net, triple net, and percentage lease. The best lease will depend on the type of store you have, so talk to a leasing professional to determine your options. It’s good to be cost-effective, but remember that when it comes to rent, lower doesn’t always mean better. Be sure to factor in traffic quantity and quality, neighboring establishments, as well as additional costs (i.e. maintenance, utilities, land rates/council tax etc.) before deciding where to lease. Like most things, the “right” answer to this question depends on your business. Generally speaking though, you may be able to negotiate better rates if you opt for a long term lease. Be sure to ask if your landlord is covering any type of insurance so you’ll know which ones to get for your business. What maintenance services, upgrades, or improvements are you entitled to? Some landlords take care of a property’s landscaping, repairs, and other maintenance tasks. Don’t forget to ask them about these services so you know what you’re responsible for. If there is any part of the lease that you wish to modify, speak up. Haggle with prices and responsibilities and see to it that you’re getting the best deal possible. See if you can find out how long the property has been untenanted for, if it’s been vacant for a while you might have a good chance at bargaining on the rent down, or even getting a rent-free period. After looking at different spaces and gathering the property and leasing information, carefully weigh the advantages and disadvantages of the spaces. Discuss it with your business partners, and if possible, speak to a real estate professional or lawyer and ask for advice before you sign any documents. Find available spaces through tools like Craigslist, LoopNet, Storefront, etc. Contact the owners or leasing agents of spaces you’re interested in and ask for more information. Have them send you photos and a copy of the floorplan. Make viewing appointments for the properties you’re interested in. Print out the list of questions provided above and bring your printouts when you’re inspecting the locations. Go over your lease and negotiate if necessary. Make a list of the strengths and weaknesses of your competitors based on the information above, then figure out how you can be better and/or different. Ideally, your store would need to offer something unique (products, services, lifestyles, or even intangible values) that no other competitor can match. Conduct a SWOT analysis on your company and determine a course of action for each strength, weakness, opportunity, and threat.